Apple Pay: A Fad Or The Future Of Real-World Payments? Apple Pay went live in the UK this week. The UK is the first country outside the US to get Apple Pay, but what exactly is it? Apple markets the Apple Pay as a high-tech service that provides a hassle free credit and debit card alternative. No more cards that could be stolen or lost, just a phone to make all payments? Sounds good so far. Apple, however, are not the first to try the digital wallet, but they are the first to get such a large backing from UK businesses. There are more than 250,000 locations in the UK that are set up to accept Apple Pay, with support from RBS, Natwest, Lloyds, Halifax and Santander. Once a user has added their payment card details from one of the supported banks, they can buy things from real-world locations by using just their iPhone. 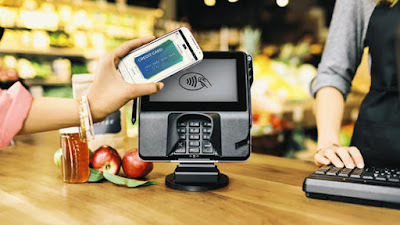 To trigger a payment the shopper must tap their phone on one of the contactless readers already used in the UK for tap-and-go sales. The handset’s fingerprint sensor confirms the user’s identity. We predict that with the release of Apple Pay, contactless payments will fast become the most used form of payment in the UK. Is your company on track to move into this new era of cashless payments? Each time you give the best tips about the amusements. I never trust that how you can give these tips are so pleasantly and these are so cool and you can get superior papers discounts from us. I value your execution that you are improving the situation the general population and hands off for your persevering.